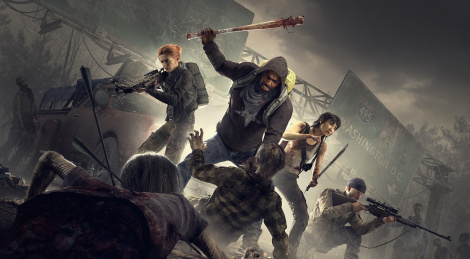 Overkill's The Walking Dead debuts its first gameplay trailer today from E3 giving us a look at how the game looks after several cinematic trailers. Speaking of which, we're also adding the Aiden cinematic trailer that we were missing. The coop FPS from Starbreeze will launch November 6th. A closed beta on PC will start later this year, players who pre-order the game will receive a single invite and those who pre-order the Steelbook Deluxe Edition (containing Night Raid Character Pack, cosmetic skins, digital art book and more) will get four invites. Now I can see why they stuck with the cgi trailers. It looks like House of the Dead fps from ions ago. Thanx for posting. man, this looks pretty rough. This looks bad, I hope they improve but even with refinement it doesn't look too promising. I was looking forward to this one.